Juicy conference pears are this month’s seasonal star & we have paired them up with some truly delicious seasonal ingredients. Chef Clive has taken classic combinations and added a BB twist so you can enjoy this fantastic fruit in all its glory on our October set menu. We have taken the perfect partnership of pear & blue cheese to a new level in this starter with the addition of dried apricots, walnuts & apples. Autumn on a plate! 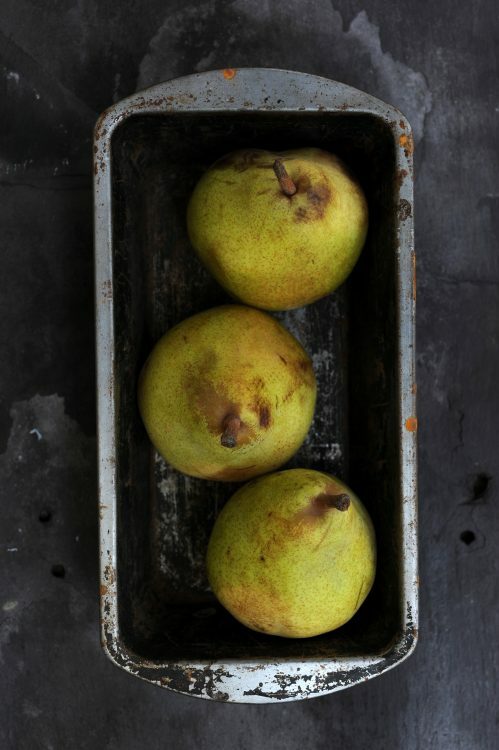 As our main, we’ve cooked down these pears alongside apples to create a flavourful chutney to complement a gorgeous grilled fillet of mackerel. For pudding we’ve opted for a beautiful Belle Hélène made with poached pears, warm chocolate sauce & ice-cream. If you like the sound of these delicious dishes, join us this month and enjoy two home-cooked courses from £11.95*.